A Stronger, Healthier, More Meaningful New Life is Your Goal. A stronger, healthier, more meaningful new life is your goal. New Life Clinic is your personal partner. Your goals are individually your own. The doctors and specialists at NewLife don’t simply replicate the standard medical model; we’ve been there and done that. We bring multicultural and interdisciplinary science and insights to individuals with different needs, different visions. We listen. 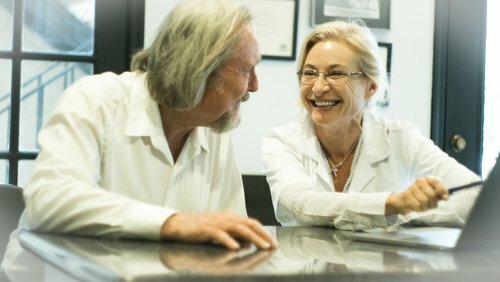 Every patient-partner is a new and unique model for our exclusive, individualized practice. Our interest is wellness, mindfulness, and awareness of one’s own life. It is our mission to join you in your quest! Shop our Metagenics Store! 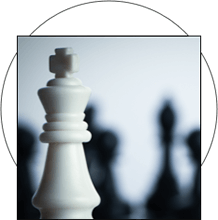 New Life does not use the “Practitioner Code” feature: we seek a personal partnership with you. Hypnotherapy was first recognized by the American Medical Association in 1958 and has gained acceptance in medical, alternative, complementary, holistic communities around the world. It is practiced by many different kinds of professionals such as medical doctors, psychologists, dentists,//. ;; surgeons, and certified hypnotherapists. Programs, coaching and medications to bring you to your desired body and lifestyle. Acupuncture for pain, stress, weight-loss, smoking cessation, gynecologic and other acute and chronic conditions. New Life Clinic has developed techniques to relieve stress, distractions, and the “blocking” or“choking” phenomena experienced by athletes, stage performers such as musicians and actors,dancers, and others performing activities in daily life and the business world. CranioSacral therapy is a gentle, hands-on method of evaluating and enhancing the functioning of the craniosacral system. Programs, coaching and medications for selected patients to increase alertness, learning and sustain high functionality. Medications for appropriate patients with any degree of erectile dysfunction. Feel better and quit smoking for an ultimate change in lifestyle and mindset. Our certified injection artists are registered nurses with decades of experience and hundreds of regular patients. They are at the forefront of medical aesthetic technology and love to bring it to their patients. EKG and basic interpretation: Laboratory studies: We will provide orders to your lab. Pricing is determined by your laboratory or insurance. Prescription renewal: No opiates renewed. Mindfulness programs and medications for appropriate patients with minor, transient anxiety or situational depression. 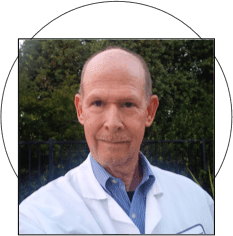 Dr. Douglas Perkins, our Medical Director, is a career emergency doctor with a lifetime of experience across the spectrum of medical conditions. He and our other doctors are creating a scientific, lifestyle-based approach to wellness incorporating a variety of programs and therapeutic options. Dr. Yulia Ruditser practiced as a medical doctor in Russia, practicing neurology and neuroscience for 25 years. She now brings to America her practices of an individualized, partnership-based wellness. Because of her passion for knowledge of medicine beyond the conventional approach, she became a yoga therapist, nutritionist and CranioSacral therapist. She learned spiritual practices and yoga from teachers and gurus in the U.S. and India, and takes an individual approach to her patients’ unified physical, emotional and spiritual health. Dr. Kim Krumhar, managed and advised new product R&D over the past 30 years in the exciting and fast moving food and nutritional products industry, and developed many successful products and programs that help consumers improve their overall nutrition, health and wellness and lower their risks of obesity, cardiovascular disease, diabetes, and cognitive decline by optimizing nutrition for successful, active and healthy aging. James M. Giunta is a Certified Hypnotherapist who specializes in smoking cessation, relief from anxiety, depression and weight loss using the power of the subconscious mind to improve the efficacy of medical care and to help the body’s ability to heal. 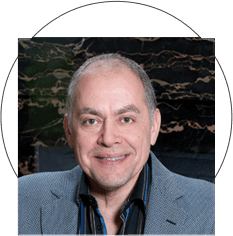 He is a member of the International Medical and Dental Hypnotherapy Association, and he remains dedicated to the study and practice of hypnosis in every way that causes improvement for the human experience. Leigh Marshall is New Life Clinic’s Licensed Acupuncturist, board certified by the National Certification Commission of Acupuncture and Oriental Medicine (NCCAOM). Leigh gained her Master’s Degree in Acupuncture form the Phoenix Institute of Herbal Medicine and Acupuncture (PIHMA), graduating valedictorian. She has twelve years of experience treating all types of pain and emotional conditions, PTSD, geriatrics, gynecological issues, weight-loss, smoking cessation, and many other acute and chronic conditions. She has Clean Needle Certification, and served as clinic supervisor on the faculty of PIHMA, instructing senior students. Leigh looks forward to meeting you! Registered Nurses, Lisa Chism and Christine Dale, are Master Level Cosmetic Injectors, with a combined experience of over 20 years! Both began their nursing careers in the Intensive Care settings. They are now highly sought, for their skilled filler and Botox injection techniques and dedication to their client's needs! Lisa and Christine can help you achieve your desired results with the artist's eye and nurse's touch for which they are known! Precautions with medications to prevent them from falling into the wrong hands. The reasons many people drink and how to move into solutions for those problems. The secret to eating well is only to buy foods which will promote good health for your body. We can redefine ourselves, sometimes on a moment’s notice, to become someone we never were before. Some services provided by New LIfe Clinic may be reimbursable through your health insurance. New Life Clinic will help you apply for insurance reimbursement by providing appropriate ICD-10 codes and CPT codes.